We bought yellow caution tape from the local hardware store and strung along the walkway to our house, around the door, and on the food tables. 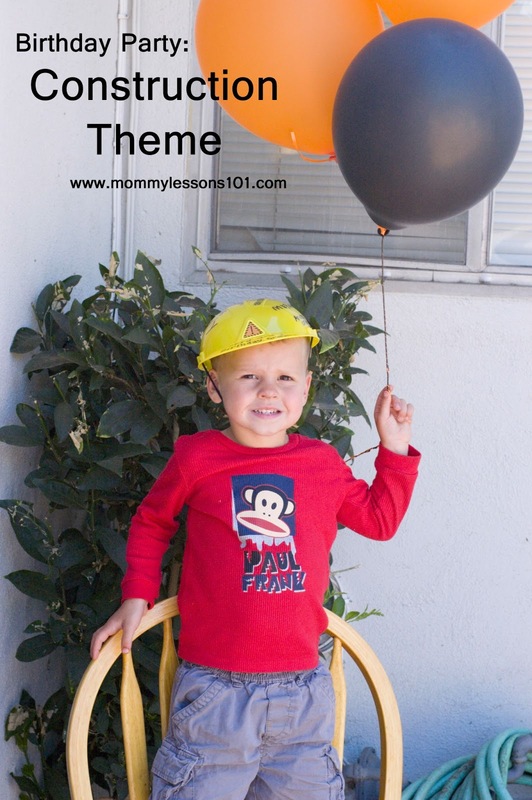 We then had orange, black, and yellow balloons and orange table cloths to complete the decor. We served pizza and orange food--carrot sticks, orange chips, and orange soda--because not only is orange a "construction" color, it also is my son's favorite color. 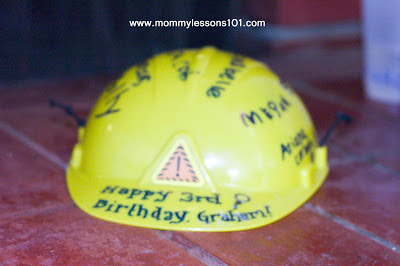 When the guests arrived, I had each person use a permanent marker to sign a construction worker helmet for my son. 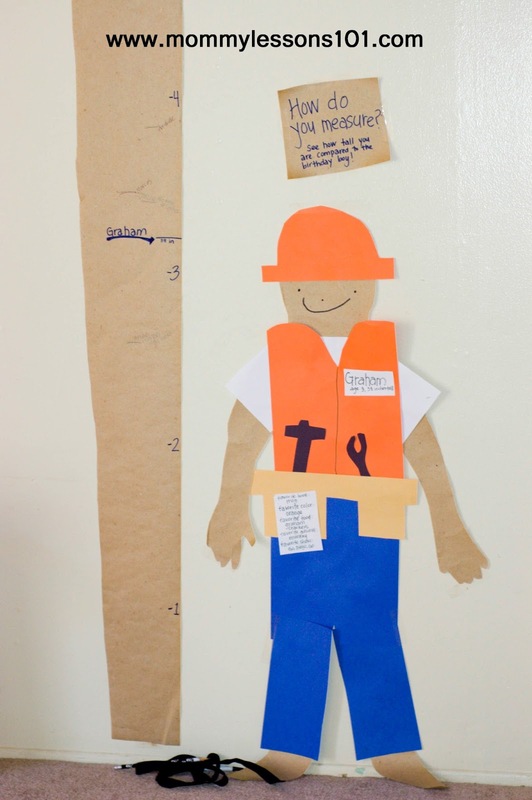 I also had drawn an outline of my son on brown paper and created a paper version of him on the wall. 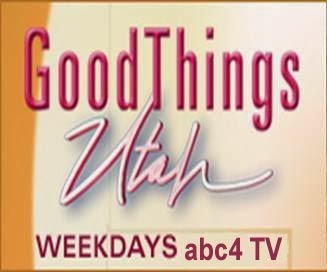 On the paper version of him I also wrote some fun facts about some of his favorite things. I then set up a long piece of brown paper next to the paper figure along with a measuring tape and had each person measure how tall he or she was in comparison to the birthday boy. We opened up our sandbox and brought out all my son's construction-themed toys. 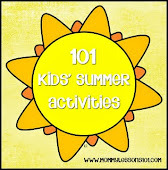 This was the favorite activity for all the kids. We had a toolbox relay. I bought cheap pretend tools and containers from our local dollar store. I then set up two sets of tools on one side of our lawn and empty toolboxes on the other side of the lawn. I divided the kids into two groups and had them line up. 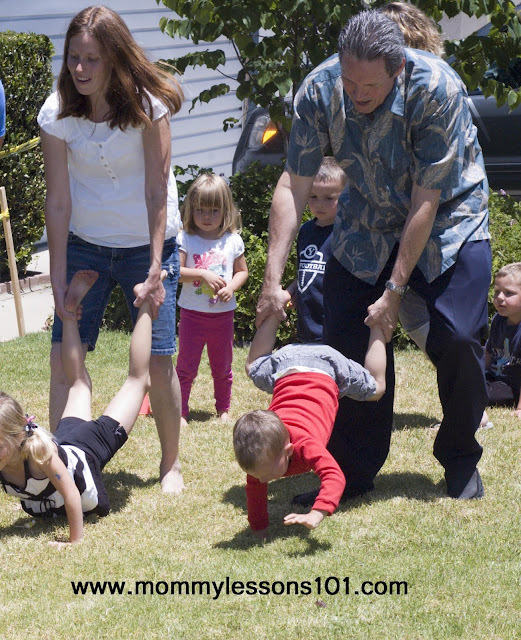 The first person in each line raced across the lawn, chose a tool, and raced back to put it in the toolbox. Then the next person went, and so on until everyone on the team had gone. The first team to fill up their toolbox with all of the tools were the winners. We had a classic wheelbarrow race across our lawn. We did this in several "heats" since we didn't have enough space for everyone to race at once. 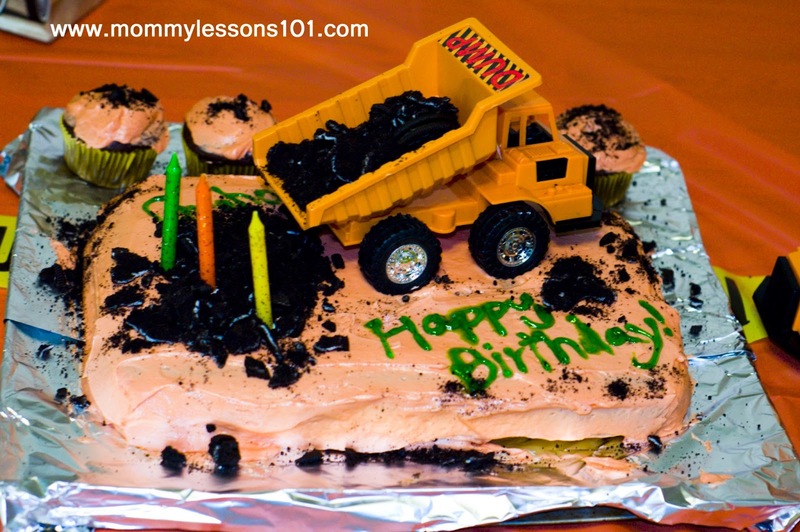 For the cake, I simply frosted a cake with orange frosting and used a toy dump truck with crushed oreo "dirt" to decorate.